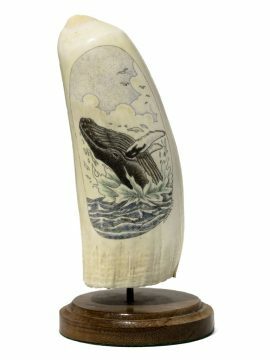 “Bowhead Whale Sounding” black and white scrimshaw on ancient walrus tusk ivory by Gerry Dupont. Outstanding work by award winning scrimshander, Dupont. Smooth piece of “beach ivory” that has been worn down by repeated washing around in waves. 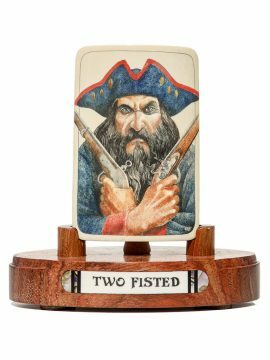 Nice work at a great price.